This December, why not dress up as Santa for a Day for your work Christmas party and perhaps take a team of Santas to lunch? It’s a fun way to welcome in the festive season with your colleagues and while you’re all having a laugh you’ll also be helping us to raise awareness and much needed funds for organ donation. You can click on this link to register online and complete your details. There is an option for creating a team so if you have a group of friends or would like your colleagues or classmates to join you, send them a link and ask them to register too. Once you’re signed up, you simply tell everyone you know what you’re doing and ask them to sponsor you with a donation, which they can do securely online. As soon as you have achieved $30 in sponsorship, we’ll post your free Santa suit to the address that you nominated during registration. Already we have Santas signed up in Queensland, New South Wales, Victoria and Western Australia. It would be wonderful to see the Northern Territory, Tasmania and South Australia join the fun – do we have any TA members in those areas willing to take the challenge? 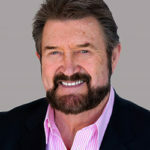 Controversial broadcaster Derryn Hinch, is the first celebrity to join in. We look forward to seeing him trade the immaculately groomed brown facial hair for a much longer fluffy white beard! Well done to Western Australia’s Mount Lawley Senior High School for being the first school to register a team. Lastly, our leader board returns in 2015 and can be found on the front page of the Santa for a Day website. If you have a competitive nature and desire being the most successful fundraiser this year, check in regularly to see how your fairing. 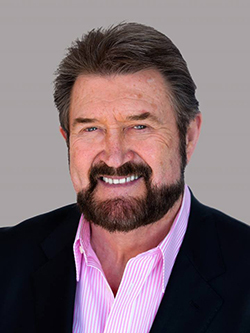 Derryn Hinch is currently sitting in the top position for individuals, it’ll be fascinating to see how long he holds pole position. Visit www.santaforaday.org for more details and follow Santa for a Day developments on our Facebook page. Nice article! Thanks for sharing this.I have learned a lot from this and it really helps.Thanks you so much!